Your friend will get 10% off their CCTV system! Thank you for choosing Securico CCTV to protect your property. It’s a great feeling to know your home or business has the security of high quality CCTV on your side. But what about your family and friends? At Securico CCTV we believe something good is worth sharing. So why not tell a friend about Securico CCTV? You could get £25 cash and your friend will receive 10% off their Securico CCTV system. Not a Securico customer? You can still refer a friend or family member! How to claim your £25 cash back. Your friend has not cancelled their CCTV installation. Full cleared payment for the system has been received. Your friends’ email addresses will only be used in conjunction with this ‘Refer a Friend’ 10% off CCTV offer. By entering the email addresses of your friends you are confirming that you have obtained their consent for this. Please note, you will be stated as the person who has made the recommendation in the email to your friend. 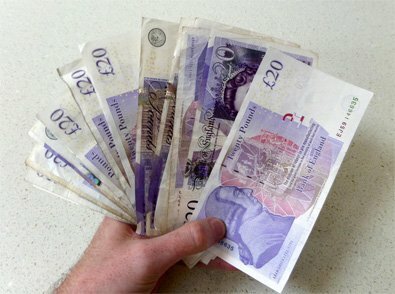 To qualify for £25 cash back, your friend must purchase a Securico CCTV system including installation. This offer cannot be used in conjunction with any other promotion, cash-back or voucher offer being run by Securico CCTV. Provided your friend has not exercised their statutory right to cancel their order, you qualify for your £25 cash back. We will aim to send the cash back within 30 days after this time providing their CCTV system has been paid for in full. Should the referred person be referred more than once, it will be the first person only who made the referral that is eligible for £25 cash back. Referrals cannot be made retrospectively to a CCTV sale being made. Securico CCTV reserve the right to cancel any cash back offer if we discover or suspect the terms of the offer are being abused. **Calls may be recorded and/or monitored.